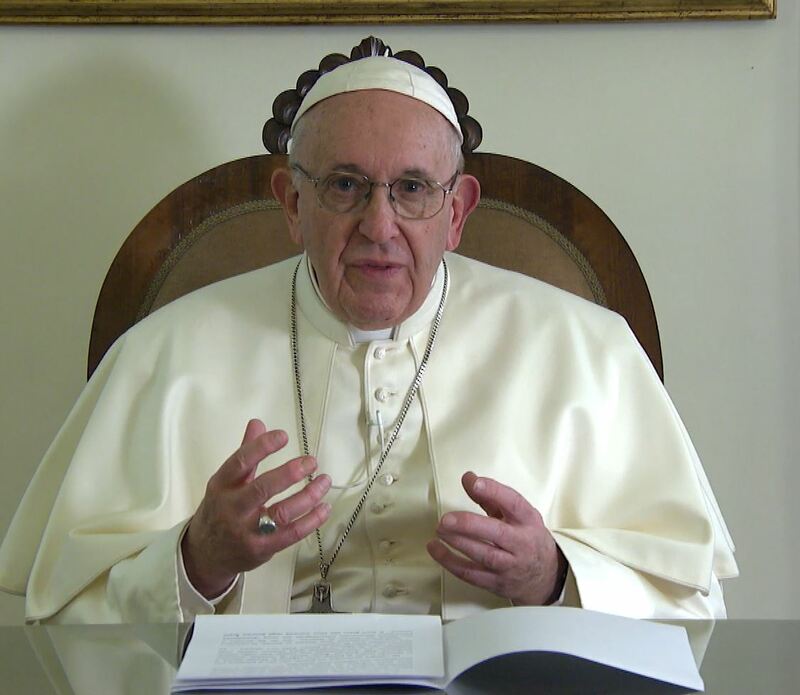 This was at the heart of the video message sent by Pope Francis to the people of the United Arab Emirates ahead of his upcoming Apostolic Trip, Feb. 3-5, 2019. Pope Francis will be the first Catholic Pope in history to visit the Arabian peninsula. Al Salamu Alaikum / Peace be with you! I am happy to be able to visit, in a few days’ time, your country, a land that seeks to be a model of coexistence, human fraternity and encounter between diverse civilizations and cultures, where many find a secure place to work and live freely, with respect for diversity. I rejoice to meet a people that lives the present looking towards the future. Sheikh Zayed, the founder of the United Arab Emirates, of honoured remembrance, was right when he declared: “True wealth does not reside solely in material resources; the true wealth of the nation resides in the people who build the future of their nation … Men are the true wealth”. I warmly thank His Highness Sheikh Mohammed bin Zayed bin Sultan Al Nahyan, who invited me to participate in the religious meeting on the theme “Human brotherhood”. And I am grateful to the other authorities of the United Arab Emirates for their excellent collaboration, their generous hospitality and the fraternal welcome nobly offered to make this visit possible. I thank my friend and dear brother the Grand Imam of Al-Azhar, Dr. Ahmed Al-Tayeb, and those who have collaborated in the preparation of the meeting, for their courage and will to affirm that faith in God unites rather than divides, that it brings us closer even in difference, distancing us from banishing hostility and aversion. I am happy for this opportunity offered to me by the Lord to write, on your dear land, a new page in the history of the relations between the religions, confirming that we are brothers even though we are different. With joy I prepare to meet and to greet “eyal Zayid fi dar Zayid / the sons of Zayid in the home of Zayid”, a land of prosperity and peace, a land of sun and harmony, a land of coexistence and encounter! Thank you very much, and see you soon! Pray for me!